Wednesday, January 9, 2019 — As from June 2nd, Brussels Airlines will offer flights from Brussels to Sheremetyevo International Airport near the city of Moscow instead of Domodedovo Airport. The Sheremetyevo International Airport is with its industrial implementation a prime location and among the first choice of corporate travellers. 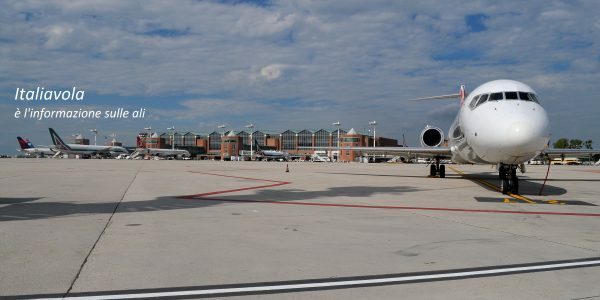 For passengers who wish to fly to Domodedovo Airport, the Lufthansa Group airlines Austrian, Lufthansa and Swiss offer attractive travel alternatives via their respective hubs. Since the start of its Moscow operations in 2004, Brussels Airlines operates flights to Moscow Domodedovo Airport. As of June 2nd the airline will move its operations from Domodedovo Airport to Sheremetyevo International Airport, a prime location with an important industrial area. The airline herewith responds to the high share of businessmen and women travelling with Brussels Airlines from Brussels Airport to Moscow. Sheremetyevo is also for leisure travellers an attractive airport as it is easier to reach out of the city center of Moscow. Passengers travelling to and from Sheremetyevo Airport can enjoy the large onboard service offer of Brussels Airlines (Bizz&Class, Flex&Fast, Light&Relax, Check&Go) and earn either miles from the leading frequent traveller program Miles&More or accumulate LOOPs from the Loop program of Brussels Airlines. This new flight offer is complementary to the very attractive schedules of the Lufthansa Group airlines Austrian, Lufthansa and Swiss who offer daily flights to Domodedovo Airport.